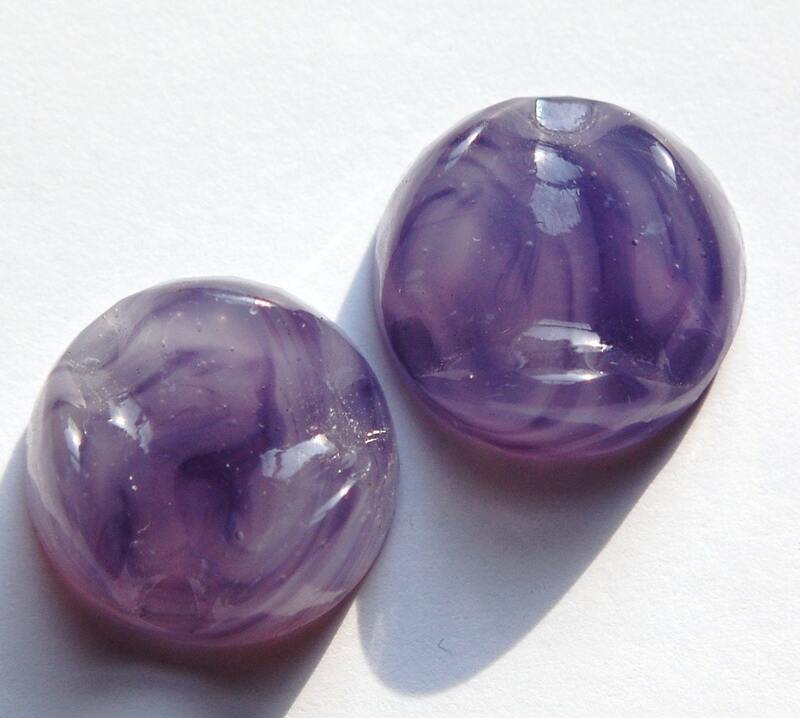 These are vintage purple swirled glass cabochons. They have an unusual wavy or bumpy top. 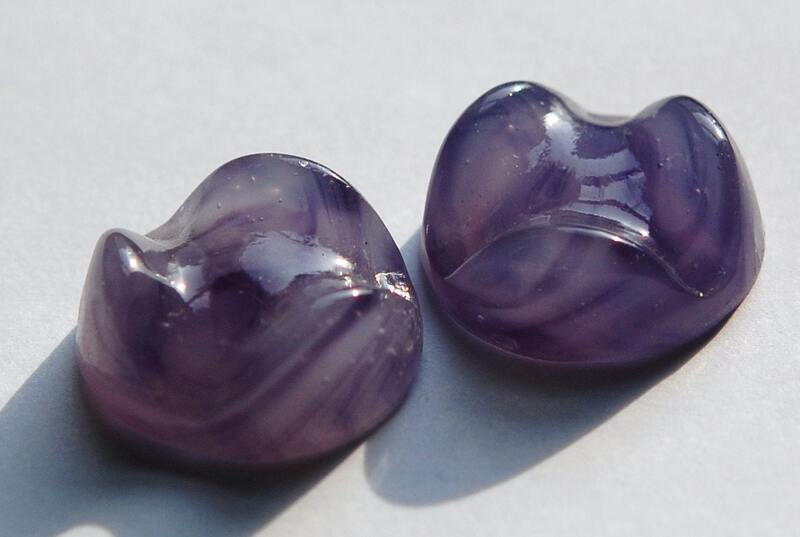 These measure 22mm round X 9mm high. You will receive 2 pieces.